Lane is 4 3/4 years old now. That 3/4 is very important. He will correct you if you just say he is 4. 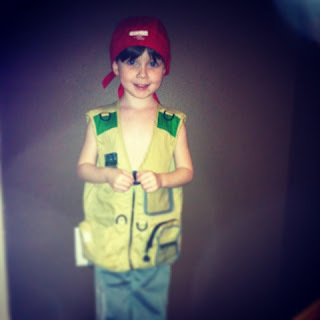 He is a silly, smart, kind-hearted, well-mannered, loving little Big boy. He is really in to superhero’s and pretend play. 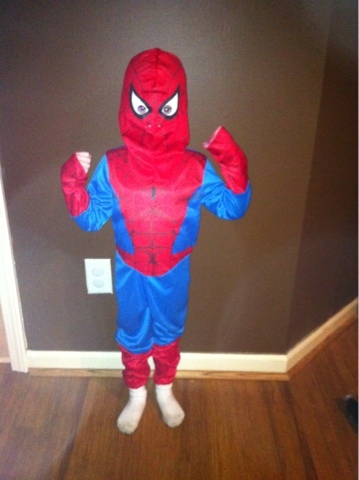 He loves to dress up in costumes. His favorite is a spy/explorer. His favorite cartoons right now are Peppa Pig, Oswald, Pocoyo, and Team Umizoomi. He is really in to making secret messages and codes. Sometime he will write squiggly lines all over a paper and call that his message. Or if I ask him a question he will try to answer in codes. Lane, what do you want for lunch? Hmm, it begins with P and ends with n.
Lane, I have no idea what you are wanting. Just tell me! Popcorn Chicken! silly mommy, you didn’t know! He LOVES telling jokes! We’ve recently starting googling preschool jokes, because, well if you’ve ever been around a child just learning to make up jokes you understand. He still loves to read. Tonight I remembered a website I used to use frequently when I taught www.readinga-z.com I thought it had a ton of free leveled readers. So, I was hoping to figure out what level Lane was on. They only had a couple free readers now. He easily read the level I book. The next level they had was level k. He read it fine but got bored during the pages and would start sing-reading or just completely stop reading and play with my hair instead. 🙂 So, he is reading somewhere between a 1st – 2nd grade level. He LOVES going to preschool at Meadow Brook Baptist. He tells me daily that his best friends are Mrs. Kay, Patton, Olivia M, and Caroline. He loves to write letters to all his friends too. Yesterday, he wrote Maggie and “Minner” (Miller) Happy Birthday Cards. So sweet – unfortunately their birthdays aren’t until October and September. 🙂 He will also write Gigi and Bo letters and stash them away in his superman bag until it’s time to see them. Sometimes he is known to take the more modern route and swipe my cell phone to text family. Earlier this week, Nana called to let me know she received a text like this “iloveyoutoniallen” Bahahaha! 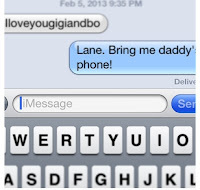 Lane didn’t respond back to her when she texted back. Notice the trend in his texts – My genius boy doesn’t know how to use the spacebar. 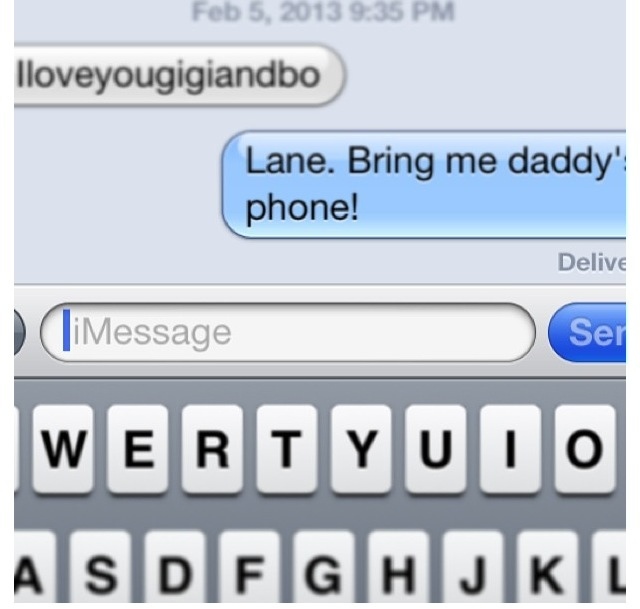 So, if you get a text that looks like that from me or Chris, just know Lane was thinking about YOU! He also loves going to church to the clubhouse (his class). Many days after school, he will hop in the car and request song they sing in the clubhouse! Nothing makes this momma happier than my 4yr old requesting worship songs! His favorites right now are Highland’s worship – Lift the Name, Hillsong – One way Jesus, and Gateway Next – look up. My favorite part of each day is first thing in the morning. He wakes up and runs to find me. Then he gives me a great big hug and asks if I had sweet dreams! So precious! This week however he has been waking up REALLY early and climbing in bed with me and sleeping until it’s time to get ready for school. I know the time is coming soon when he won’t want to snuggle up with his momma, so I am soaking up while it lasts!